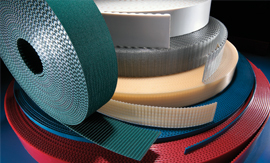 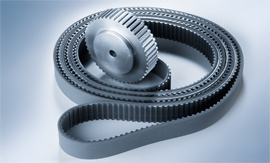 Polyurethane timing belts have a high degree of resistance to lubricants, moisture and chemicals, and are particularly resistant to abrasion. 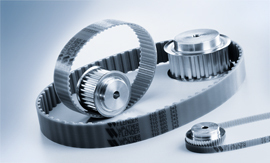 For this reason, the Walther Flender polyurethane timing belts conform to standards such as FDA and EU food approval. 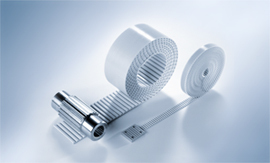 We can supply the drive belts in various designs - such as flexible lengths and with different coatings - and with the appropriate timing belt pulleys (including special variants) -and they will always be suitable for your individual application.